. كما يقدم Aston Motel Yamba الكثير من الخدمات لإغناء رحلتك في يامبا. يمكن لضيوف الفندق الاستمتاع بالميزات التالية على أرض الفندق: واي فاي مجاني في جميع الغرف, مرافق مخصصة لذوي الاحتياجات الخاصة, تخزين الأمتعة, واي فاي في المناطق العامة, صف السيارات . 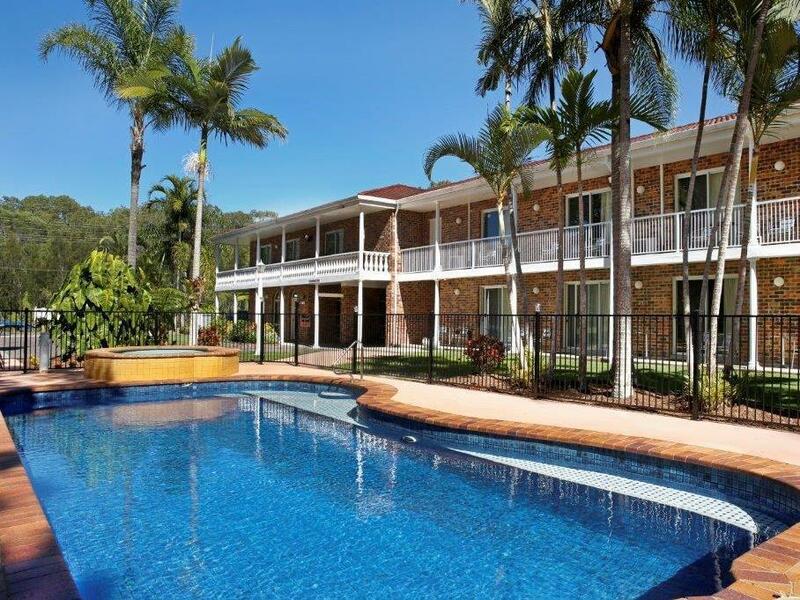 تنعكس أجواء Aston Motel Yamba في غرف الضيوف.تلفزيون بشاشة مسطحة, اتصال لاسلكي بالإنترنت, اتصال لاسلكي بشبكة الإنترنت (مجاني), حوض الاسترخاء, غرف لغير المدخنين هي بعض الميزات الموجود في العديد من الغرف. صممت خدمات الاستجمام في الفندق والتي تتضمن مسار جولف - ضمن 3 كم, حمام سباحة خارجي, صيد السمك, سبا, حديقة لمساعدتك على الاسترخاء والراحة. استمتع بخدمات لا يعلى عليها وعنوان ذو اعتبار في Aston Motel Yamba . Great location - walking distance from town, practically in a street of its own, so lovely, rural, and quiet. Friendly staff who were very accommodating. And whichever room you have, it seems that you have direct access to the pool via the rear entrance of your room, and a lovely white washed, sweeping staircase if you're upstairs. We only stayed one night for the Yamba triathlon, but we'll be coming back for a holiday. Have stayed here twice this year. 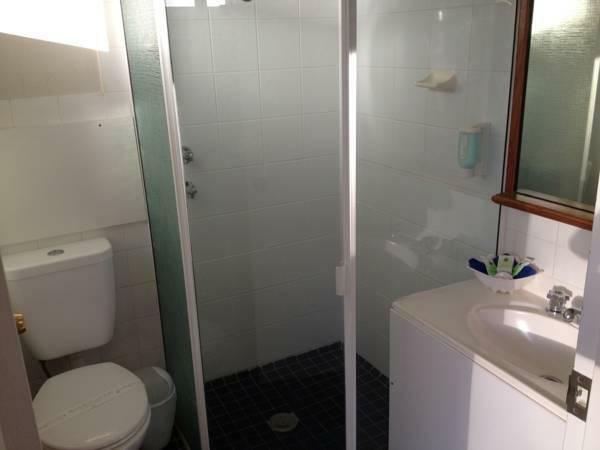 Great location easy walk to town two clubs with good dining virtually across the road. Quiet peaceful location. Staff welcoming and extremely helpful. 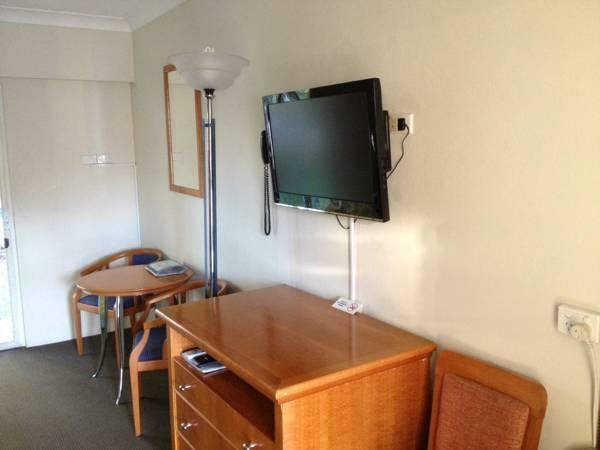 Great, well equipped kitchenette with microwave, sink toaster and kettle. Clean and comfortable. Quiet street next to the bush, but only a few minutes walk into the main street of Yamba. Clean room, pool lovely, kangaroos graze outside. There is a separate room in the Family Unit which was great. Comfy beds. Lovely pool, modern and clean rooms, very comfy beds. We loved the pool as it was 36 degrees when we stayed in Yamba, so the pool was very welcoming. Free wifi, just a short stroll into town. Nice and quiet location in a dead end street. Can recommend! We arrived pretty late in the evening and the receptionist waited for us. She was incredibly friendly and even showed us where to go and what to do in the area after her shift was done. The hotel from the outside reminds you of a beautiful antique building with a lovely garden. Very peaceful. It is an older style that has been refurbished recently so everything is nice and new. It is extremely comfortable - the king size bed one of the most comfortable beds I've ever slept in. The pillows were wonderful also. The location is terrific, walking distance to everything but in a quiet back street with no passing traffic - didn't hear a sound all night. the owner and staff are also very nice and helpful. A very comfortable motel room with microwave, sink and toaster so we could do our own breakfast and lunch. Spacious and airy, very clean. I liked the laundry facilities, including a clothesline so we didn't need to use a dryer. Very helpful staff. We hope to visit again. By far the best motel I’ve ever stayed in. Very clean and well appointed. Five stars! I stayed at the Aston Motel in Yamba for two days last week. I've travelled all over the world staying in a variety of accomadation facilities and have nothing but praise for this little motel. I was totally impressed and wished that I could have stayed longer. It's in a really good position a few blocks away from the beach, shops and resturants. The rooms are pleasant they have up to date décor and have everything you would want for a short stay. They have a microwave and toaster in each unit allowing you to make breakfast in the motel unit if you choose. There is a lovely garden surrounding the pool and spa. The Motel is situated at the end of a street and is really serene, with wildlife and birds every where. The only thing that would make the experience better would be the addition of some umbrella's around the pool area. It was extremely hot in Yamba last week and although the pool was terrific it was too hot to lay on the outdoor furniture and the addition of a few umbrella's would have solved this. I will be returning again soon and would recommend this Motel to anyone. In my opinion you couldn't find better, for a few days or longer. Room was great. Plenty of room beside the pool. Staff were very helpful at all times. Spotless. Only booked in for one night on our way down the east coast. Wish we could have stayed longer as this is a great little hotel. Staff were great. had a slight problem with water but this was sorted very quickly and they kept us informed all the time. Amazing! Staff were excellent. Location was spot on. Room was very clean and everything worked. Price was very nice. Yamba was a perfect place to visit and the Aston motel made it easy. Highly recommended. very surprised with the value for money, best beds, pillows, clean. walking distance to bowling club good food. friendly staff. we have spent a lot more on accommodation in the area and this was by far the best value and amenities. We were searching for somewhere off a main road which would be quiet but alos convenient from walking to restaurants, beach etc. The Aston had everything and our greeting on arrival was lovely. We'd certainly go back and have already recommended it to others travelling in the region. Thank you! Was ok stay however the walls are very thin and you can hear everything from the neighbouring rooms (peeing,laughing etc) We had a do not disturb sign up and the cleaners removed the sign and went into our room anyway. Was very unhappy about this. Apart from that room was clean and location good but wouldn’t stay again. Good motel. Quiet location trees and birdsong with flat walk 1 block to Bowling and Golf clubs if attend a function. 2 blocks to town or riverside. (Steep hill to get to beach areas) Has a pool for summer. Clean and comfortable rooms and spacious parking areas.